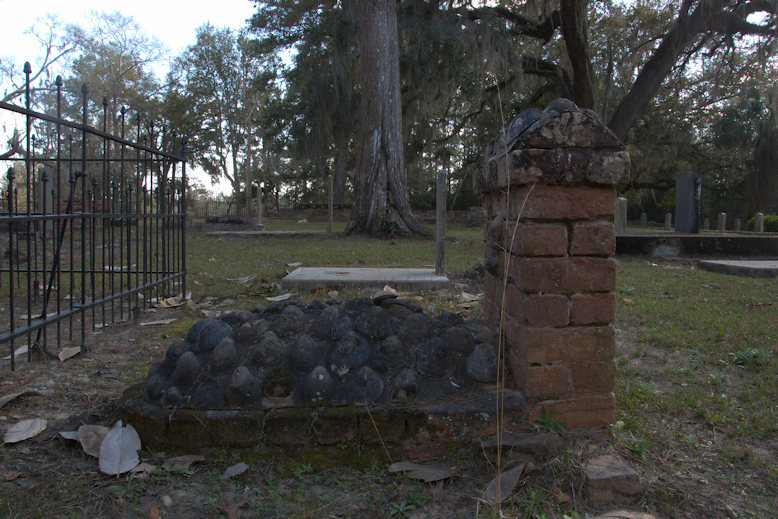 Quitman’s first cemetery, West End was established in 1859. 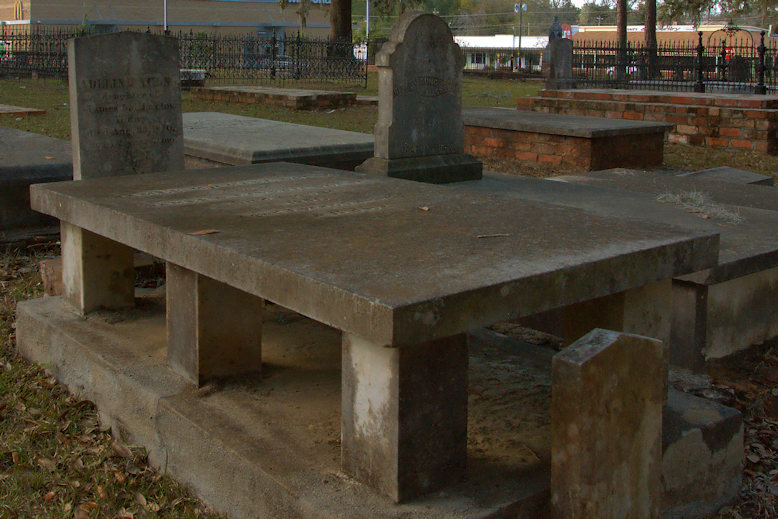 It has the inviting park-like atmosphere typical of Victorian cemeteries and is a nice place to walk around. 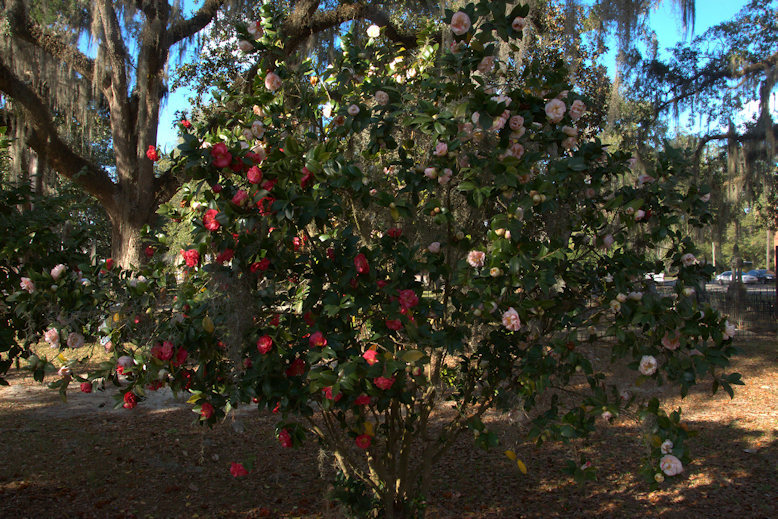 When I was here, the camellias were in full bloom, providing nice contrast to the Spanish moss hanging from old oaks. 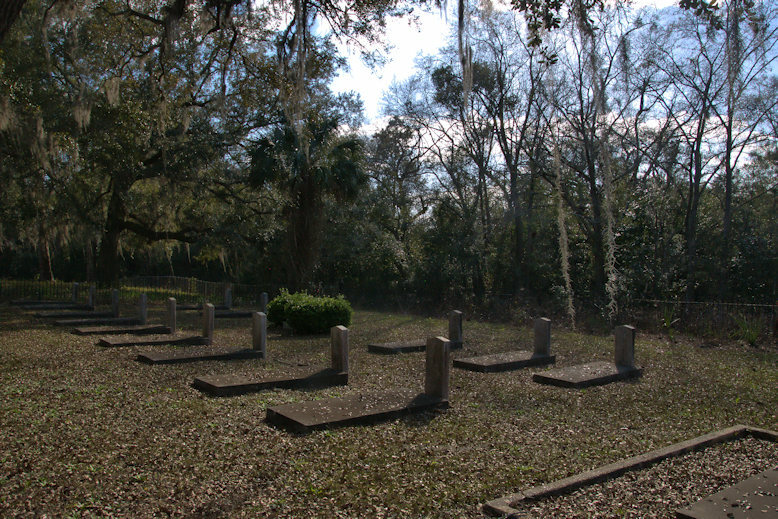 Seventeen unknown Confederate soldiers are buried near the rear of the cemetery. The grafted camellias are a highlight when they’re in bloom. A fire destroyed much of the commercial district of Quitman in 1897. 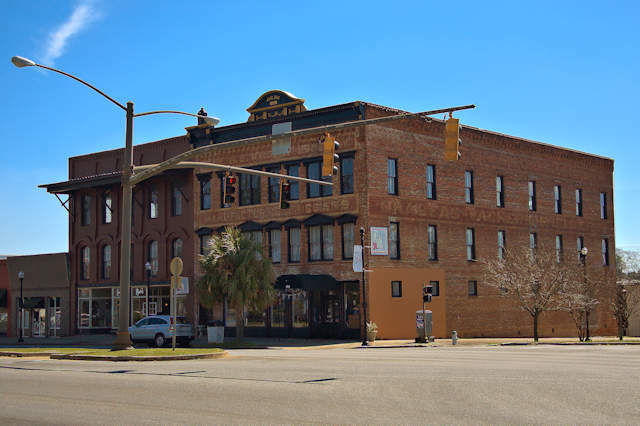 The building on the right dates to 1898, indicating it was among many businesses rising from the devastation the following year. 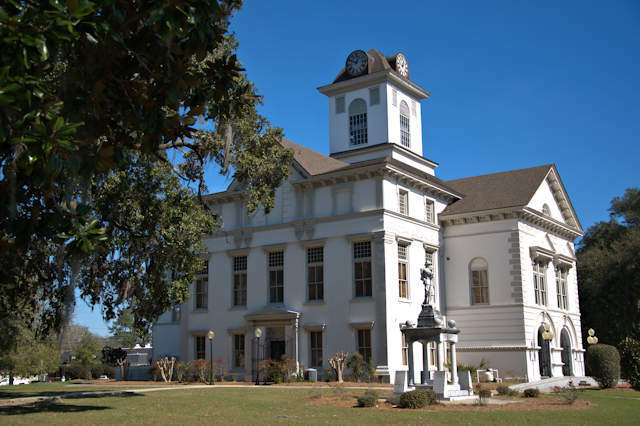 Though the Brooks County Courthouse is generally noted as having been built in 1859, that date is misleading. 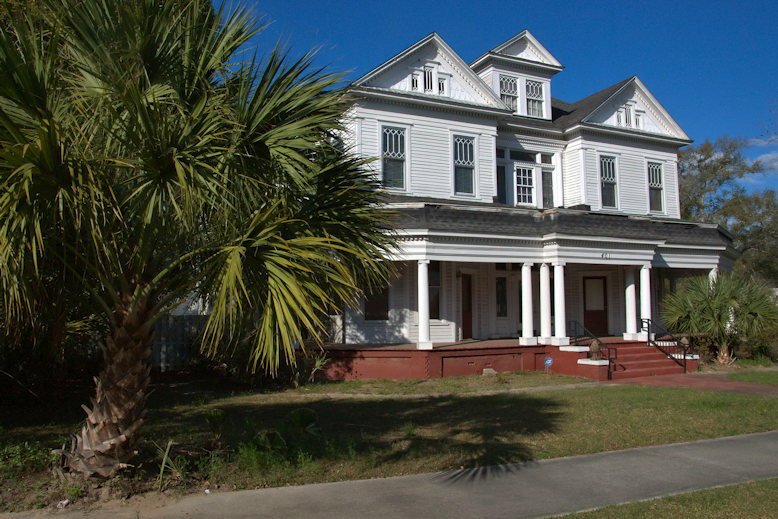 Construction began that year, but due to the Civil War and the death of contractor Charles H. Remington in 1862, the courthouse was not completed until 1864. 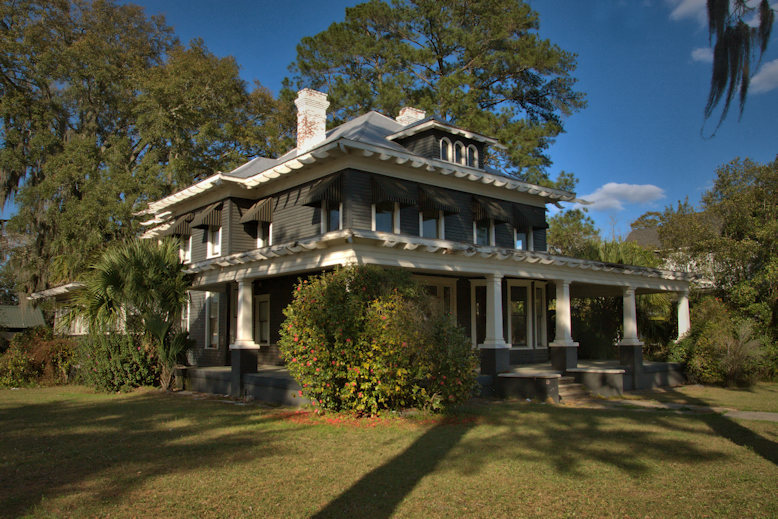 It was extensively remodeled in 1892 by the firm of Bruce & Morgan, in the Italian Renaissance Revival style. 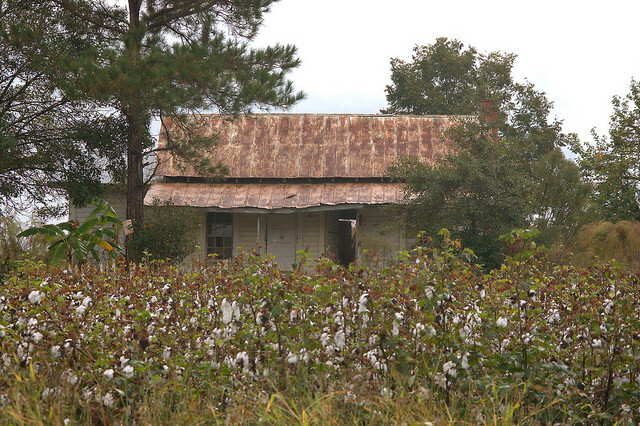 A couple of weeks ago I shared an older photo of Brewer Pope’s Store. I made it a point to stop by here on a recent trip and to my amazement, the place hasn’t changed a bit in five years. 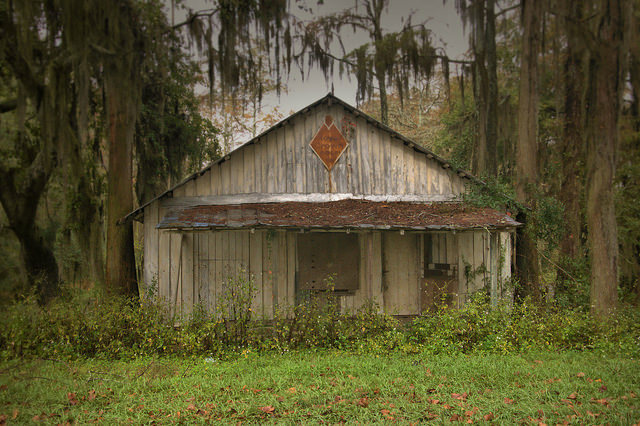 It’s a good thing because this is one of the coolest country stores to be found in South Georgia. I’m not sure when it closed but it was open as late as the 1980s. 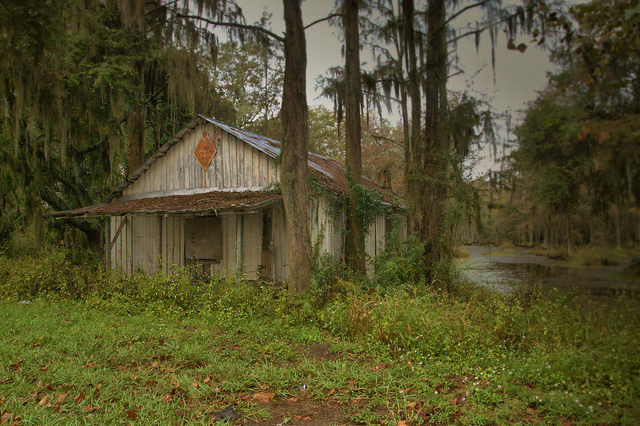 For many years, this was a public pay fishing area and the store probably served primarily as a convenience for fishermen. When I first posted the photo on Flickr six years ago, an unidentified user wrote: I remember going to this store in the early 1980s when my dad worked on a farm not too far away. Crickets chirping and getting a cold Coca-Cola, out of the coffin cooler, which was sweating in the hot summer heat of south Georgia. 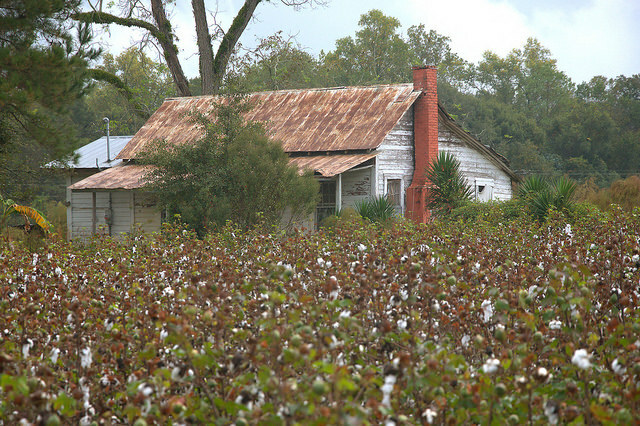 Besides the Ichauway Store in Baker County, I can think of no other in South Georgia with a more idyllic setting. It served generations of folks who probably appreciated its setting as much as I do. 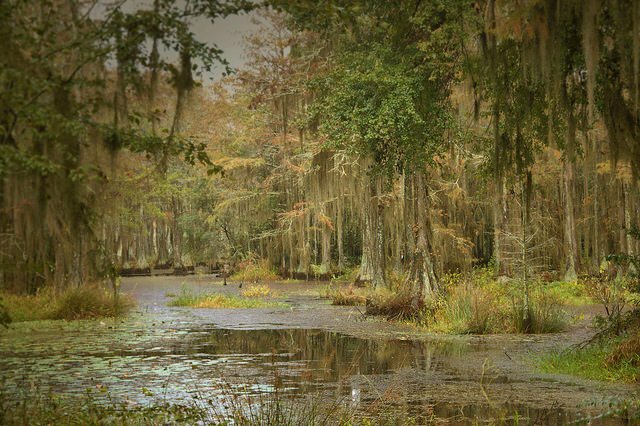 The millpond itself is a natural wonder and well-known landmark of Brooks County. Somehow, these old tenant houses just keep hanging on. This one is a bit unusual (although tenant houses were often built quickly and with what was on hand) in that it has two front doors as would a saddlebag house but has a chimney on one end.